The PwC Global Code of Conduct is being raped in this country, how much longer will you remain silent? "We all know the regulators in the US and European Union brook no nonsense. 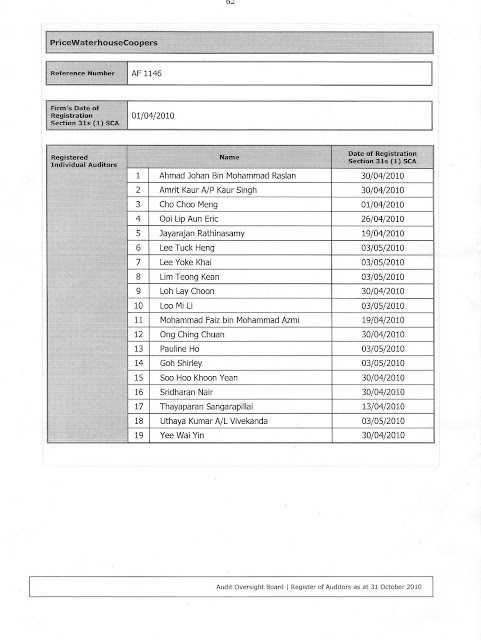 But how is that the Global Leaders stood by and allowed a Director in PricewaterhouseCoopers in Malaysia to leave the firm and immediately head up the Auditor Oversight Body in Malaysia, when this will show that the independence of the system has been violated under Rule 4012 of the PCAOB, a regulator under whom PwC in Malaysia was already registered, along with many other PwC offices worldwide?" allow us to add to the argument. On the 1st of April in 2010, Malaysia saw the launch of its very own Audit Oversight Board, the AOB. Similar in intent and purpose as the PCAOB of the United States of America, the AOB should have been fantastic news for those that wished for an improvement in Corporate Governance and Auditor Oversight in this country, but sadly the events that transpired immediately after the launch painted a bleak picture. 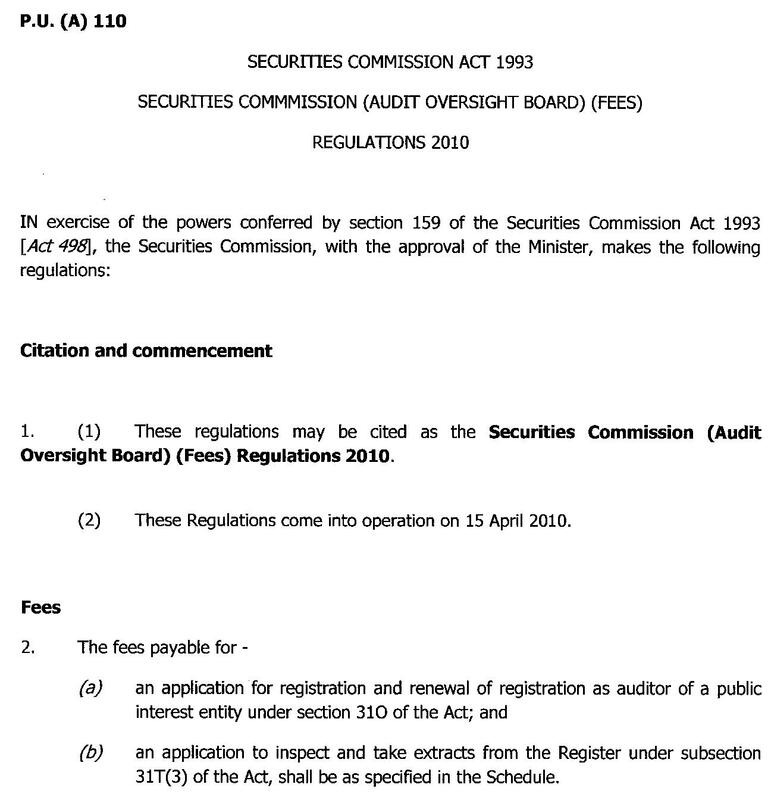 On its first day of operations, the AOB saw the appointment of it's board, including the appointment of its Executive Chairman, as well as the release of the handbook detailing how an auditor may apply to be registered under the Board. In the AOB's own words, the process of registration, including the necessary checks with other regulatory bodies, to ensure that each auditor registered met the 'fit and proper' criteria will take about two weeks. 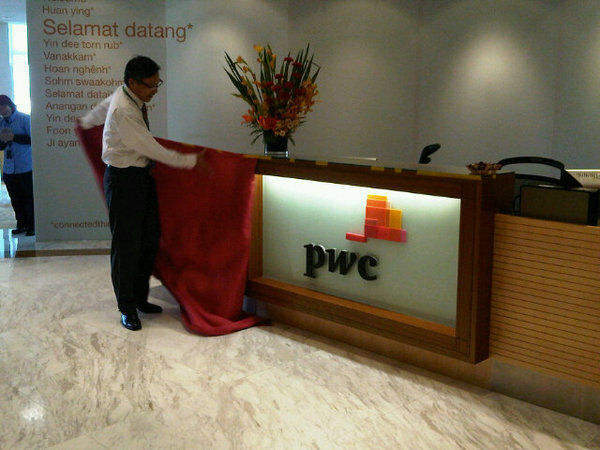 But this did not happen in the case of your firm here, PricewaterhouseCoopers Malaysia. In fact your firm was registered in the very first day of operations of the AOB, and we have to ask you, how many millions of Ringgit had to change hands in order for this to be accomplished? With revenues that run above RM 500 million annually, PwC in Malaysia, while a minnow in terms of contribution to the global revenue of PwC of RM 82.2 Billion, is no 'small fish' within the shores of this country. 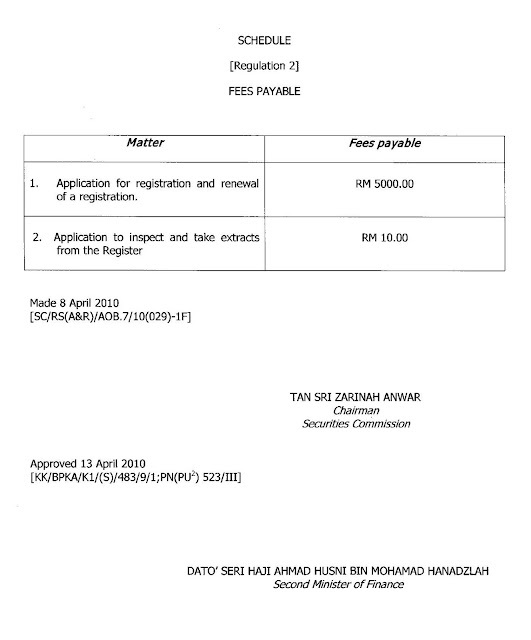 There is another matter that makes the registration of PwC Malaysia on the 1st of April, 2010, a legal impossibility, Mr Boorman, you see, the law to collect the fees for registration was only enacted on the 15th of April of 2010. 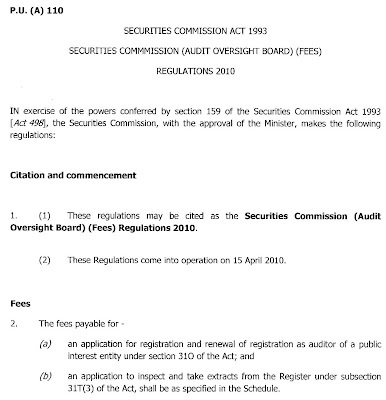 In fact, if you peruse the documents above, Mr Boorman, you will see that the Minister concerned only signed and approved the law on the 13th of April, 2010. We ask you once again Mr Boorman, if this had happened in the United States of America or the European Union, can the Global Leaders of PwC such as yourself remain silent for any period of time? 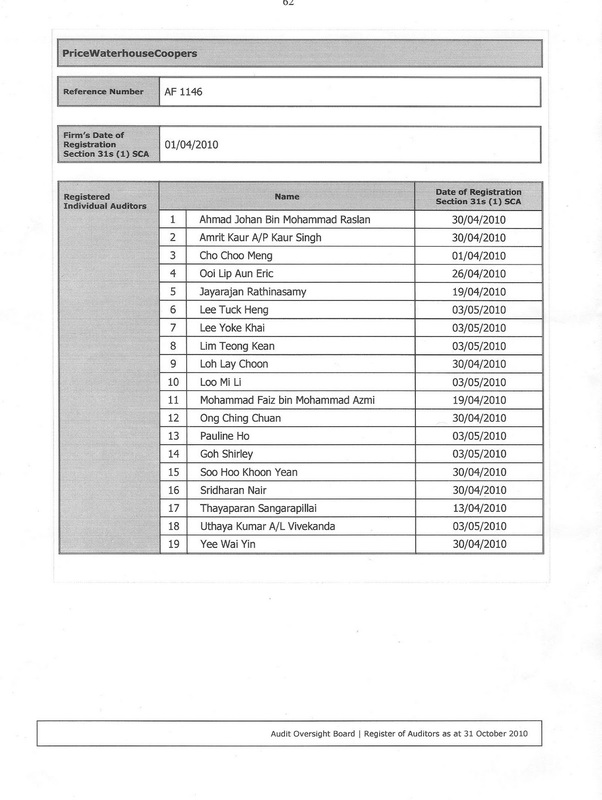 You also have to ask yourself Mr Boorman, what had pushed the Senior Partners of PricewaterhouseCoopers in Malaysia to circumvent the normal and legal registration process under the rules of the AOB, and get the firm registered in this way, without even respecting the authority of a full Cabinet Minister in the process? They even got one of their own Directors to become the Director of the AOB for goodness sake, and still, all we get from you is silence?!?! Mr Paul Boorman, Global Leader - Operations for PwC.